"Once again, the cursed wagons of the Brandraven Company wind their way through your lands. A pall of whispered tales and rumors hangs over the grim cortege, and all but the most foolish or wicked among your subjects know to keep far away from its suspicious wares and even more suspicious merchants. However, on this occasion, a member of the dark caravan has come to you…"
An Agent of the Brandraven Company is a part of our Black Friday event. You can read additional details about it in our Black Friday forum post! An elusive Brandraven Company has approached you with an offer you won't be able to refuse. Heed their words, listen to what they say, and be wise with your choices. 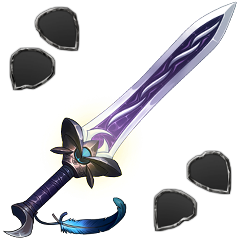 Pick a Mainhand Weapon based on your preferred style of battle! 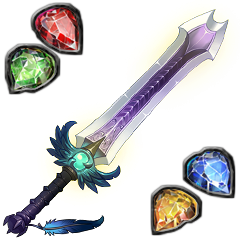 Each with three tiers to collect, these weapons can also be improved through collecting gems! Will have to check your legends for when those adventures appear. Total CS of each weapon type is the same across different weapon types! The difference is look and breakdown! Spy Attack - very little! During the course of this event you will be able to acquire An Agent of the Brandraven Company exclusive Furnishings from Brandraven Chests, Royal Brandraven Chests and the Furnishing Store! 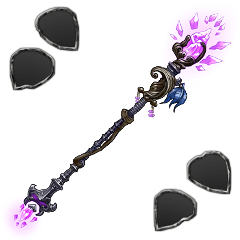 Check out this forum post for the breakdown of our newest Furnishing Feature! The event will remain until November 28th at 12 PM PST. Please note that due to Black Friday there will be no PvP Blitz (Bloody Crown Legend) this weekend. Where is the 50% off buildings? 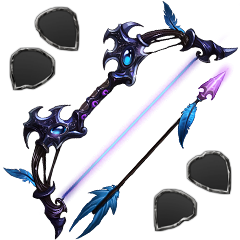 Yeh I'm confused but whatever the bow looks cool so chose that. I picked the bow and I didn't get anything I would assume that this is a bug right? rosie_- wrote: I picked the bow and I didn't get anything I would assume that this is a bug right?